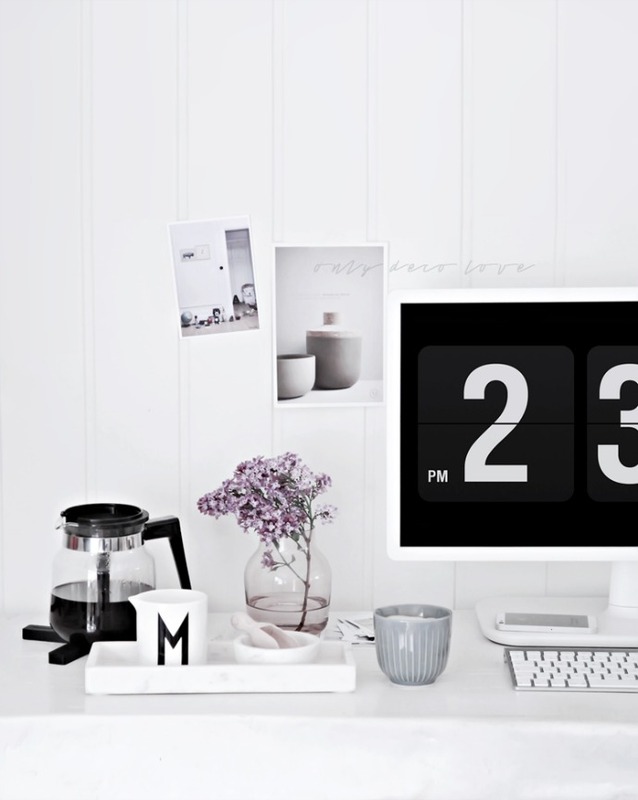 Whenever I take a photo of my laptop or my desktop, you will generally always see the black and white clock screen saver on show and I am forever being asked what app it is or where you can get it from. For those of you that aren't familiar with this, say hello to Fliqlo - a clock screensaver that makes your desktop or laptop look like one of those really cool old retro flip clocks. Better yet, aside form looking good, it also keeps perfect time. That said, I was once asked by a client I had been meeting with if the clock was an app on my laptop that was keeping tabs and charging them by the minute. Fliqo is compatible with both Mac and Windows and doesn't cost anything other than a small donation to the company if you are so inclined. 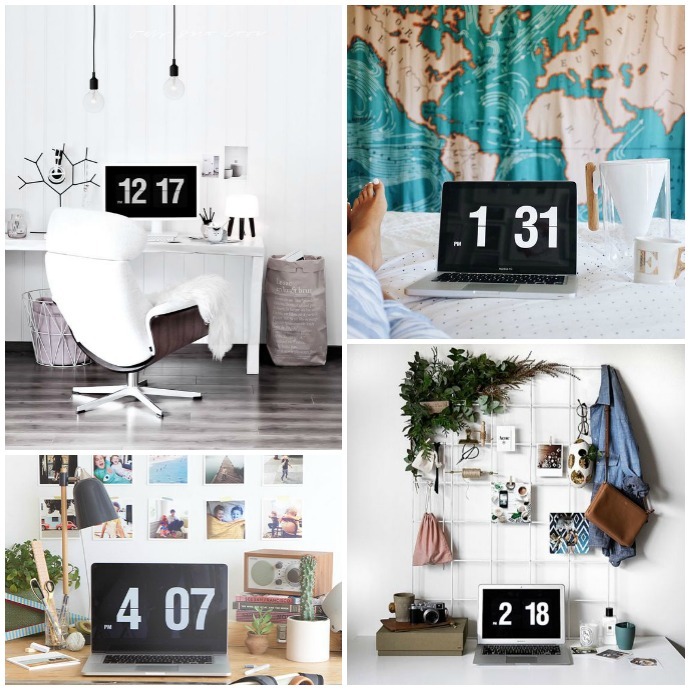 You'll see these screen savers in so many stunning pics on Pinterest and Instagram and they are actually a pretty cool decor accessory in my humble opinion. 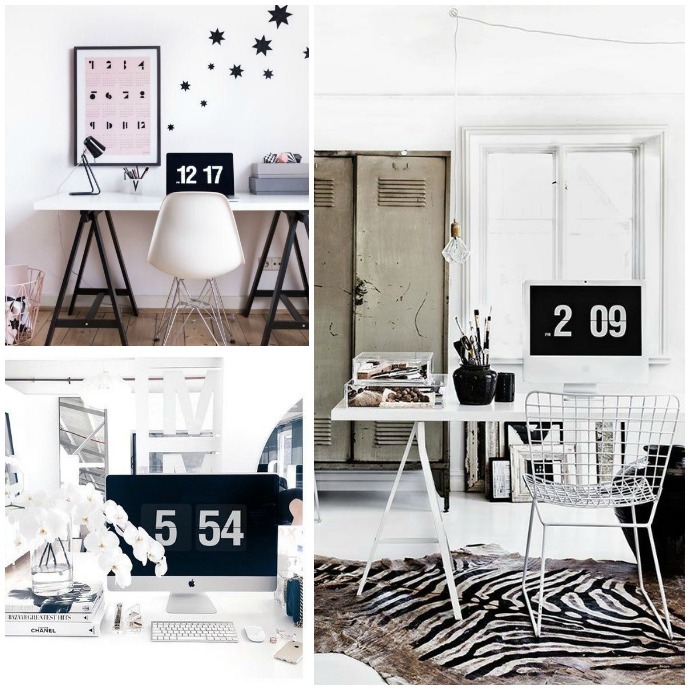 Here's just a little taste of what I am talking about to whet your appetite for some stylish time keeping.